Peter is a Northwest native hooked on the green forests and snow-capped, rocky peaks of the Cascades. He enjoys long bushwacks to uncrowded peaks, summiting at sunrise and good coffee in the mountains. He has been guiding for Alpine Ascents since 2011. 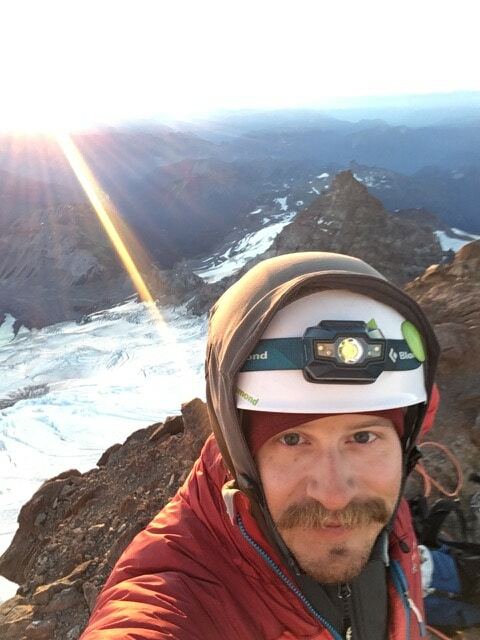 While he predominately guides on Mt Rainier and Denali, he has been known to venture into the North Cascades for Mt Baker summit climbs and mountaineering courses and to Argentina’s Aconcagua. In the summer, he’s a volcano climber by trade and passion. In the fall, he chases the sun and tries to rock climb as much as humanly possible. During the long winter of the Northwest (his favorite season) he patrols at Mt. Hood Meadows and usually logs 100+ days on his sticks. He lives in Hood River, Oregon with his lovable canine companion, Mr. Morrison. Everyone I dealt with: Gordon Janow, Ellen Cravens, Lacey Meadows, Matt Miller, Chris Thalman, Aaron Bailey. The WHOLE team is your strength! Everything was seamless, easy and completely enjoyable!